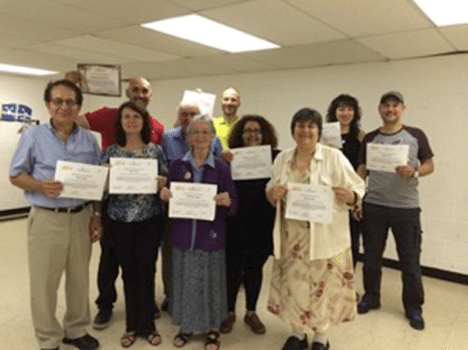 The Centre de resources éducatives et pedagogiques (CREP) makes it possible for us to offer this very popular French course that is frequented by elderly, people in fragile situations and residents of Canada, for a whole year. This program is funded by CREP, Minister of Education, in other words, they provide the teachers. Proficiency in the French language is essential to facilitate integration and helps to promote one’s full participation in community life. French, as many other languages, is a beautiful and melodious language and is often referred to as the Language of love. Learning French facilitates the mastering of other languages, such as Spanish, Italian, Portuguese or Romanian. All graduates obtain a certificate of participation specifying the number of hours they completed and must provide required documentation in order to be eligible for this programme. In order to determine if you are eligible for this programme or to register, contact us.